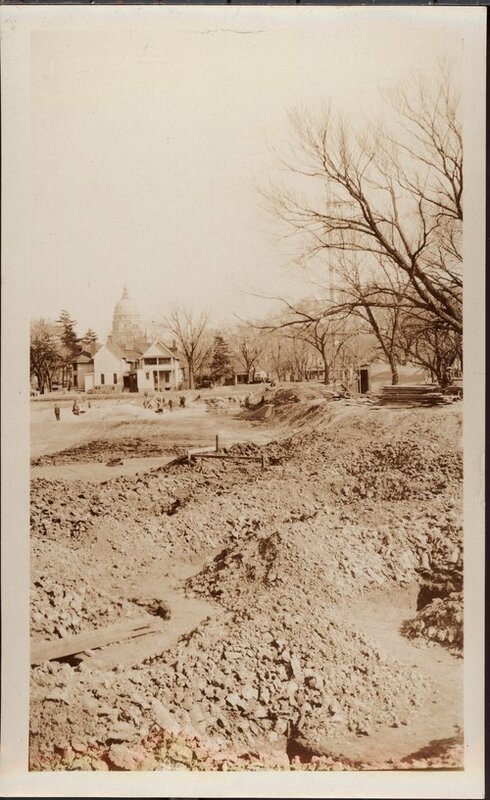 A photograph showing excavation construction for Topeka High School, located at 800 SW 10th Street, Topeka, Kansas. It was designed by architects Thomas Williamson and Ted Greist and completed in 1931. The building features a 155 foot bell tower and many architectural elements copied from Hampton Court Palace located near London, England. Topeka High School was the first million dollar high school built west of the Mississippi River. Far in the background is the capitol building.